Laura joined Emergency One in 2018. She completed her Bachelor of Science degree in Business Management from West Chester University in 1990. She shifted to healthcare after completing her Associates of Applied Science in Radiologic Technology in 2007. Laura is a registered technologist licensed nationally by the ARRT and by New York State with the NYSRT. 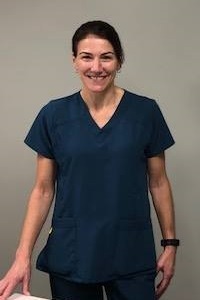 She has extensive experience as an X-ray Tech, working at Mahwah Medical of Bon Secours, Forme’ Urgent Care and Wellness Center and Industrial Medicine Associates in Hartsdale, NY over the past ten years. In addition to providing X-Ray services, Laura is a key part of our Occupational Medicine program where she is certified as a breath alcohol technician and DOT drug screen technician. She can be found working primarily in our Hyde Park and New Windsor facilities.